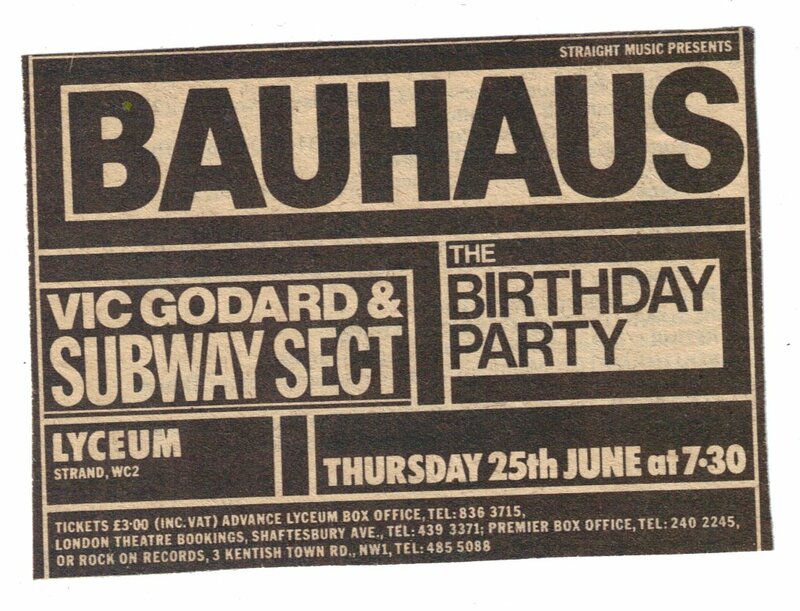 One of the best Bauhaus shows I saw, it was their first time headling at the Lyceum. The Lyceum back then was definately the best venue to go see a live band at in London. I remember the place being packed with punks, the Birthday Party were brilliant and played a great set. Bauhaus came out and blew them away, they were stunning, pete was all over the stage. I remember he came out for the encore wearing this huge hat with feathers on it, he was making all these funny remarks throughout the show taking the piss alot. It was a great night, the Lyceum and Jenkinsons (Brighton) were both great, definatly the best shows I saw on the Passion Tour.